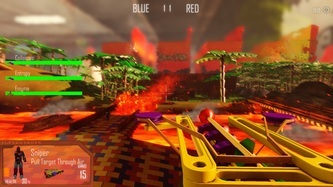 Jungle Thunder is the second team game project for Team Corporate Hippies in C18, in which I assumed the role of Lead Level Designer. 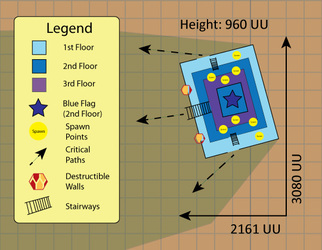 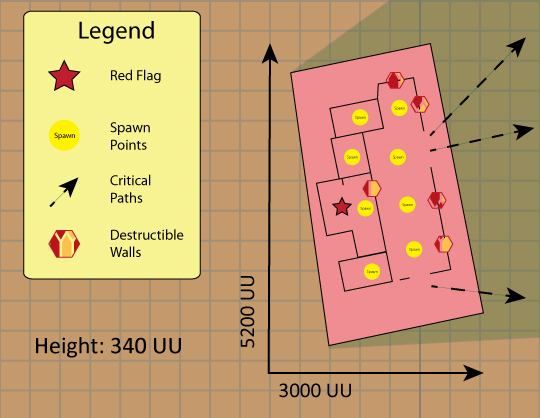 It was a stand-alone Capture-the-Flag level designed from the ground up in the universe and theme of toys. 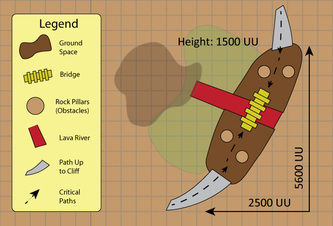 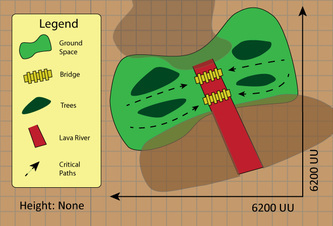 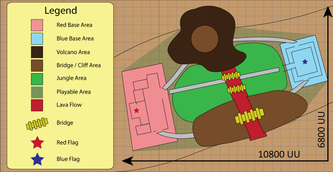 The play space focused on two major bases divided in between by a large river of lava and an imposing Volcano that spews lava rocks out into the combat space. 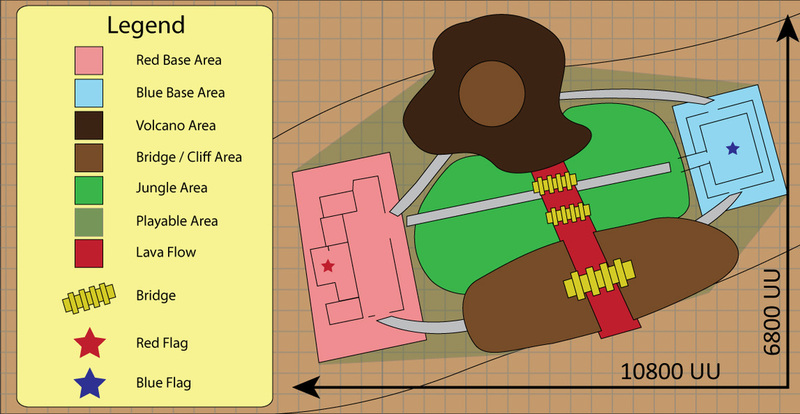 To counter-balance the symmetry, a hillside location positioned to directly opposite of the Volcano exists to provide alternative paths between each base, and allows a vantage point for support and sniper players. 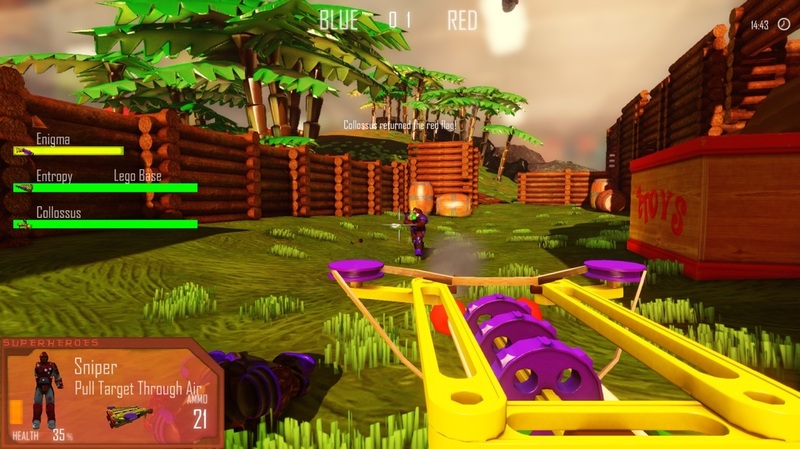 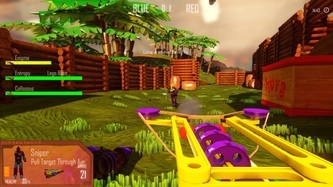 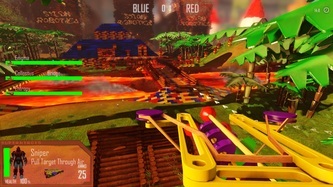 The level takes into account the class-based system for Jungle Thunder, and holds design aspects to incorporate team play based on the four class types, Sniper, Assault, Medic and Engineer. 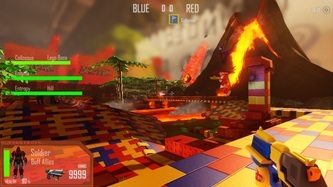 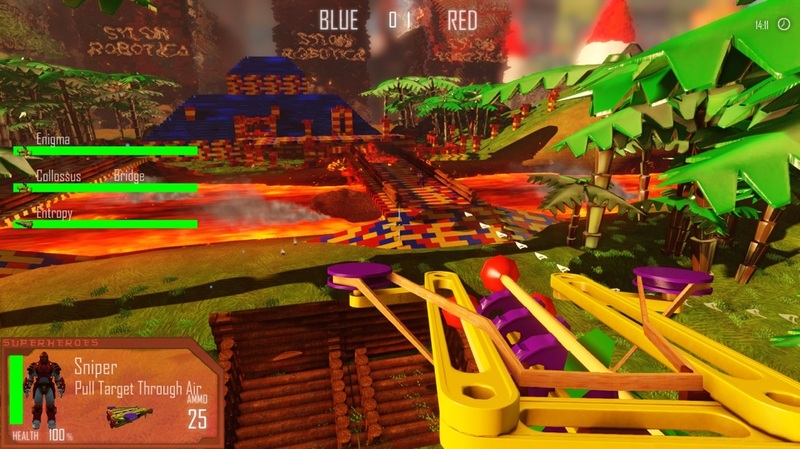 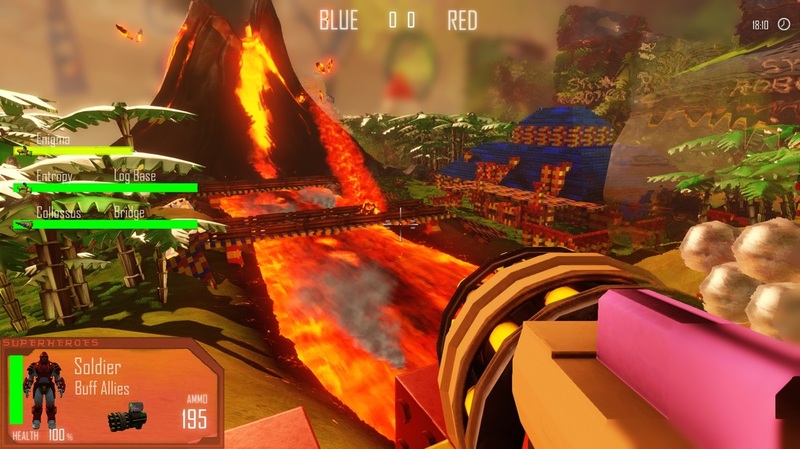 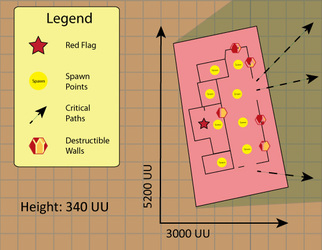 The Flying Volcanic Rock was a piece of gameplay added to create more interactivity for players within the game-space environment for this CTF Multiplayer map. 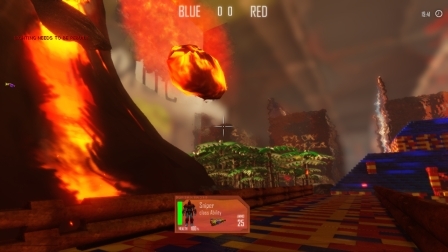 The purpose was to create a surreal experience in which "toys" were fighting within a cartoon environment, but still had elements of the real world influencing the level, such as Volcanic rocks that would smash into the world. 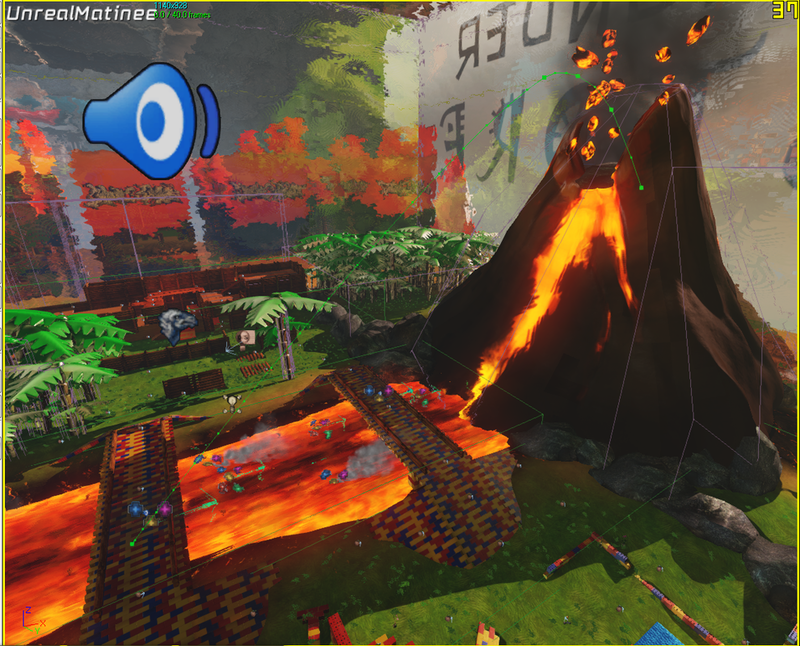 We created a remote event specifically for a volcanic rock, and gave it several paths it could path from the mouth of the Volcano, to the ground it would hit. 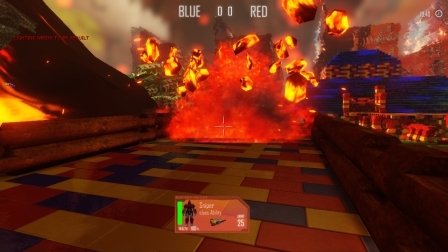 Attaching special effect particles, we put together our flaming volcanic rock, and used a Matinee sequence to generate its "overall" flying behavior. 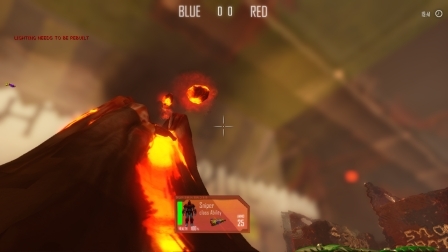 Lastly, we placed specific decals around possible landing sites, and based on which rock remote event was called, after it hit the ground, it would be toggled on and off, to provide the effect of hitting the ground.